Rhys started with the club in 1954. He was 6’4” and a school high-jump champion. He would execute reverse slam layups at warm ups to intimidate the opposition. 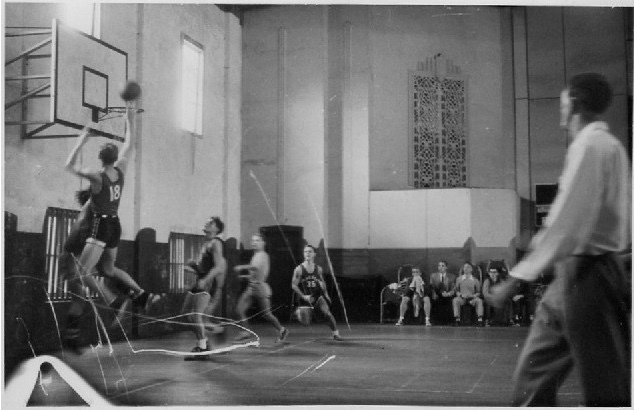 He was asked to train in the State Victorian side – but declined as he was studying to be a dentist and felt he could not devote the time needed. 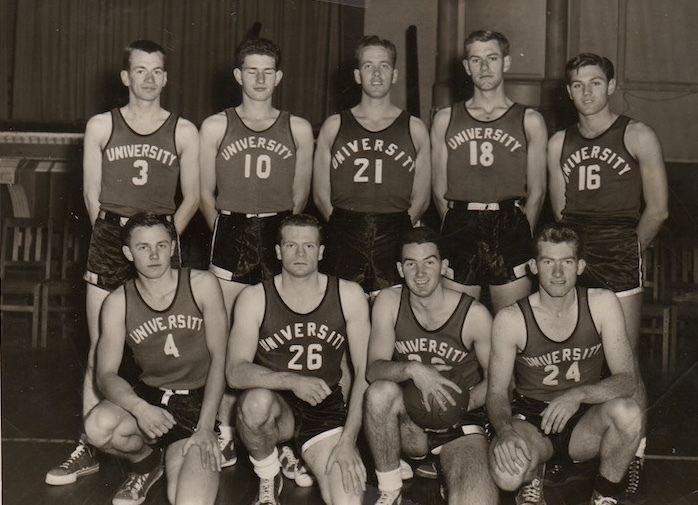 1954 – Rhys played in Intervarsity games in Brisbane and received a Full Blue. He was also picked in the “all-star” team. 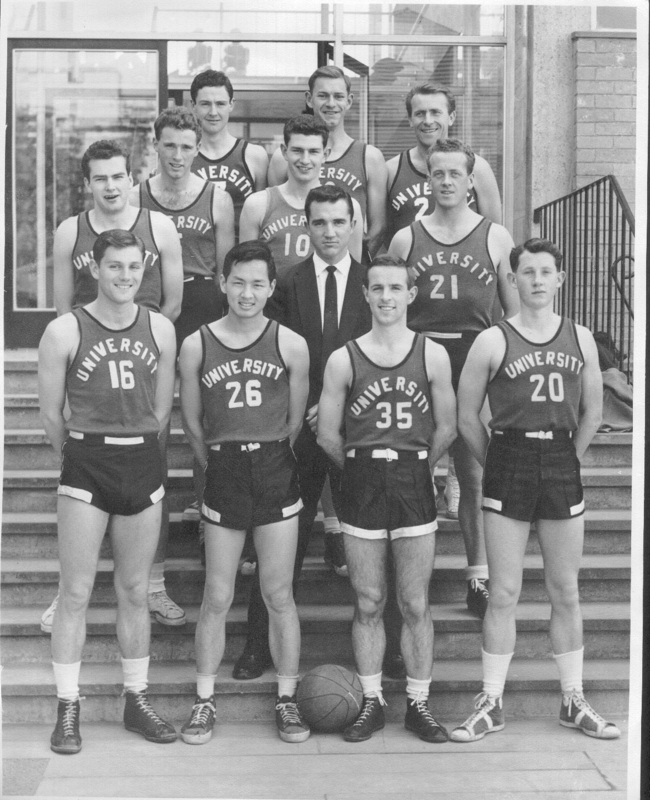 1955 – Rhys played in the Intervarsity games in Tasmania and received a Full Blue. Unfortunately he was not picked in the “all-star” team because he got suspended for knocking down a rather “rough” Tasmanian player who had been giving him a hard time for most of the game. 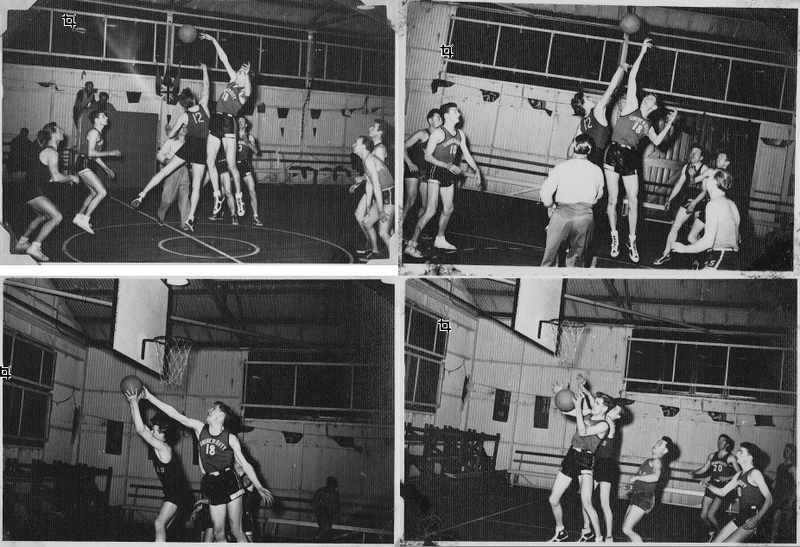 1957 – Rhys played in the Intervarsity games in Perth where MUBC won. He received a full blue and made the “all-star team”. 1958 – Rhys received a half-blue at Melbourne University. © Melbourne University Basketball Club 2019. This page was last updated by the black angels on December 25th, 2016.